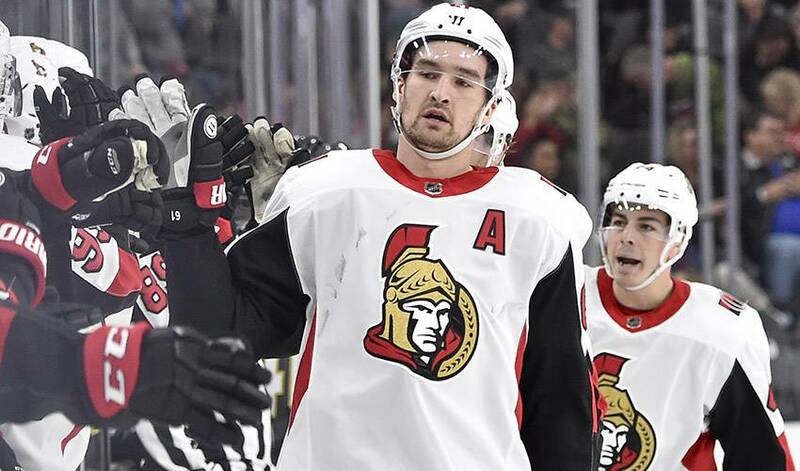 OTTAWA — The Ottawa Senators have avoided arbitration with Mark Stone, signing the winger to a one-year deal worth US$7.35 million on Friday. The deal came just as the team and the restricted free agent were set to have a hearing to determine the player's contract for the 2018-19 season. The 26-year-old from Winnipeg, who can now become an unrestricted free agent next summer, tied for the Senators' lead with 62 points in just 58 games in a lost 2017-18 campaign as the club stumbled to a 30th-place finish. "We're happy to have Mark under contract," Senators general manager Pierre Dorion said in a quote posted to the team's official Twitter feed. "Mark is a great leader in every sense; a character person, passionate competitor and a talented two-way player. "Signing him is the first step in a process that allows us to continue to negotiate a long-term deal in the new year." As it stands now, Stone, star defenceman Erik Karlsson and centre Matt Duchene — Ottawa's three best players — will all head into the coming season as pending unrestricted free agents.